Quite in keeping with Jasper Morrison’s philosophy of “super normal” design, the Plate Coffee Tables have a classic shape and finely balanced proportions. The design thrills with its accomplished interplay of soft roundings and precisely positioned edges. The refined base frame and the thin table top complement perfectly and yet are clearly distinct from each other. The reduced design of the table consists of a base made of die-cast aluminum and a powder-coated steel tube. 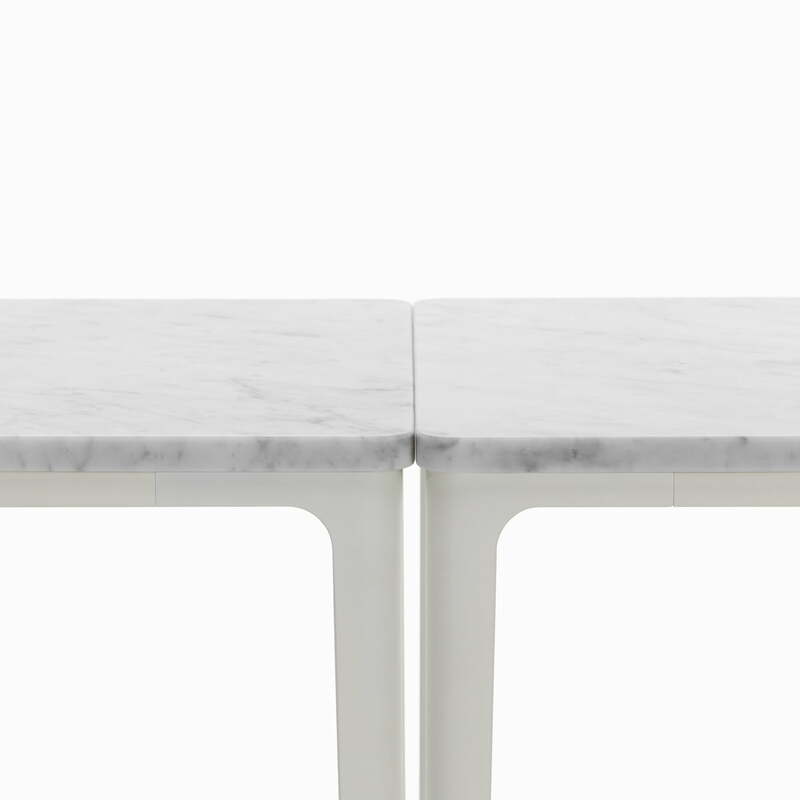 The table top, in turn, is optionally available as a powder-coated MDF board or elegant Carrara marble. 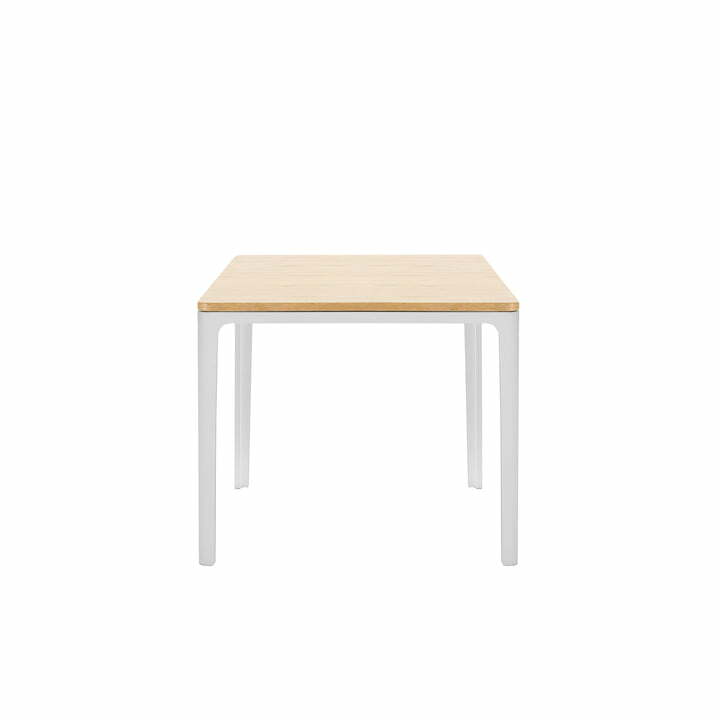 Isolated product image of the The Vitra - Plate Table 41 x 41 cm, powder-coated white / white MDF. The reduced design of the table consists of a base made of die-cast aluminium and a powder-coated steel tube. 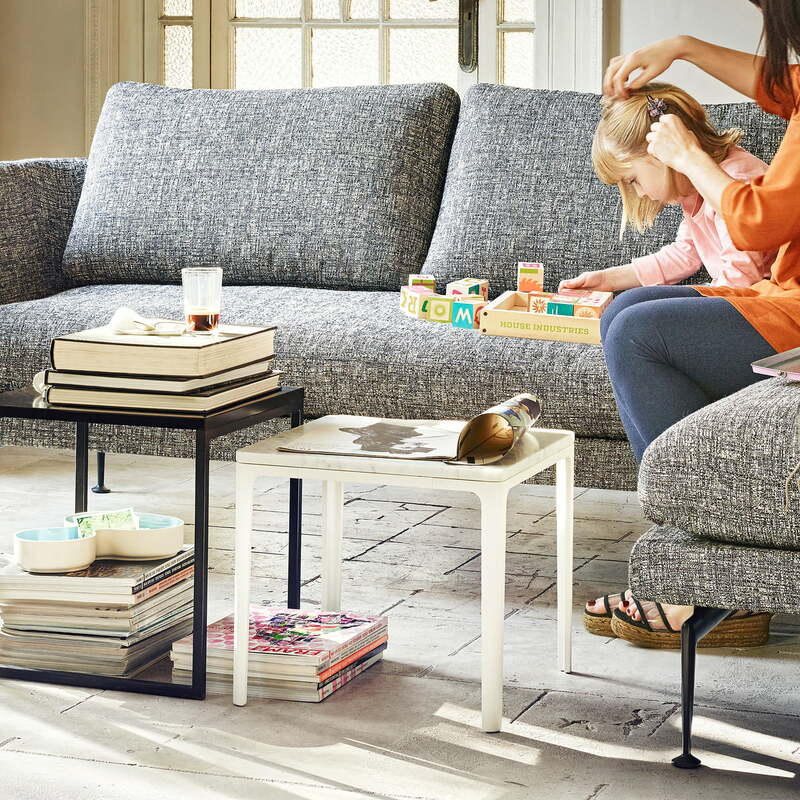 The Vitra - Plate - Table here combined with the Vitra - Suite - Sofa perfectly fits into every room and offers more than enough space to store things, thus combining design with functionality. 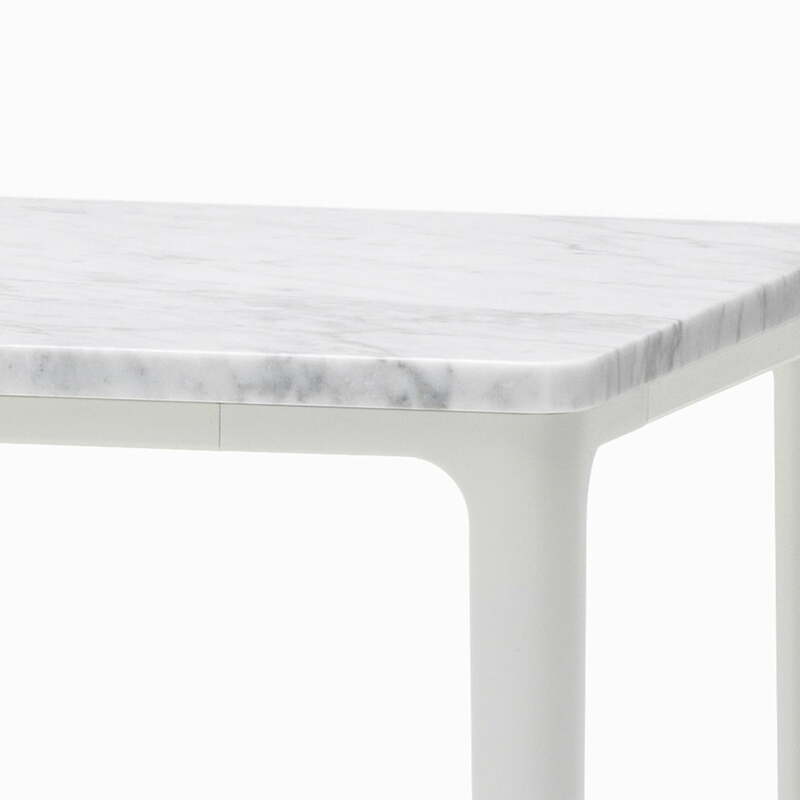 Detailed product image of the Vitra - Plate Table. The charm of the design lies in a successful interplay of gentle curves and precisely set edges. The filigree base and the thin tabletop are harmoniously combined and yet clearly separated from each other. 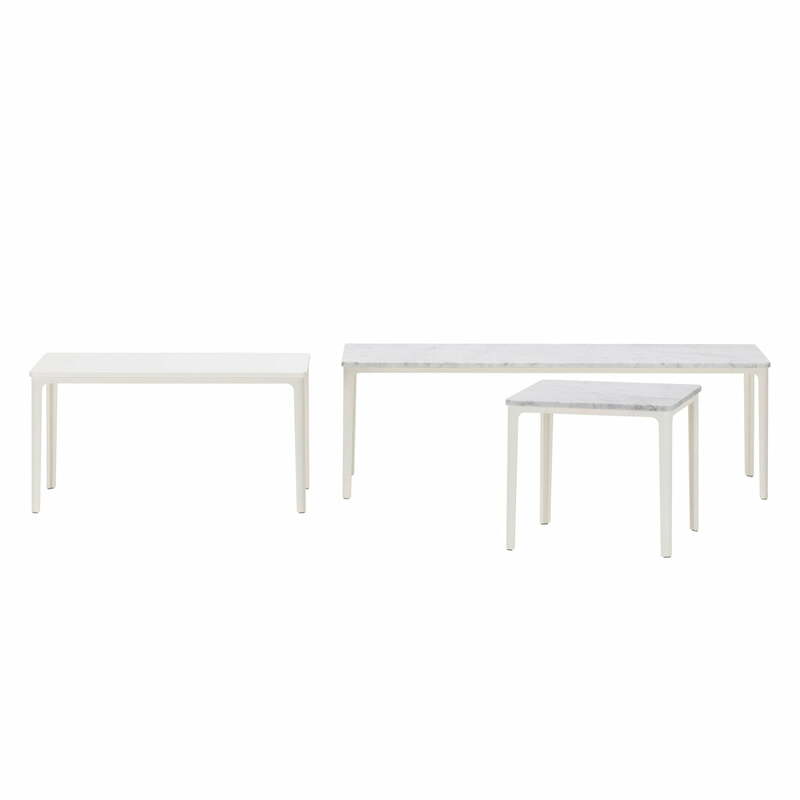 Group product image of the Vitra - Plate Table in various sizes. 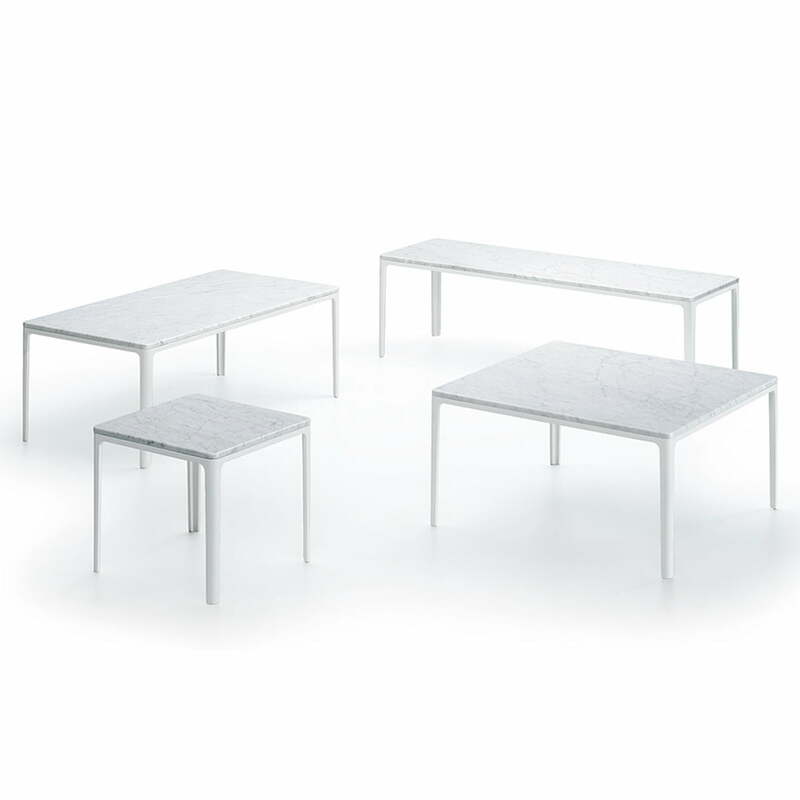 The table is available in various sizes that can all be wonderfully combined with one another. Detail product image of the Vitra - Plate Table in detail. The charm of the design lies in a successful interplay of gentle curves and precisely set edges. The filigree base and the thin tabletop are harmoniously combined and yet clearly separated from each other. Lifestyle product image of the Vitra - Plate Table. 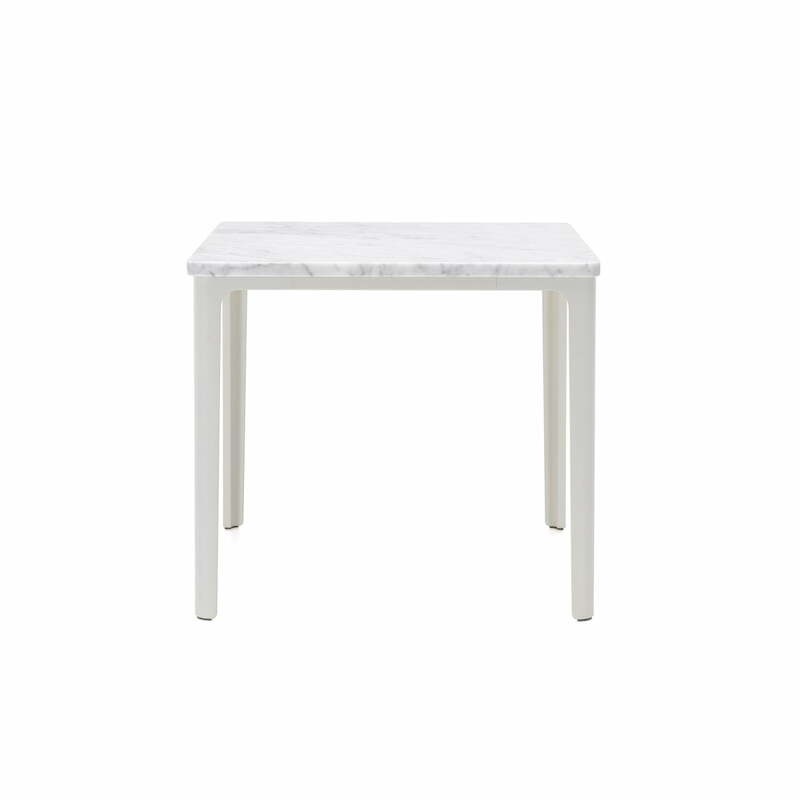 Placed in front of the sofa, the Plate Table with its marble top adds elegant accents that enhance every ambience. 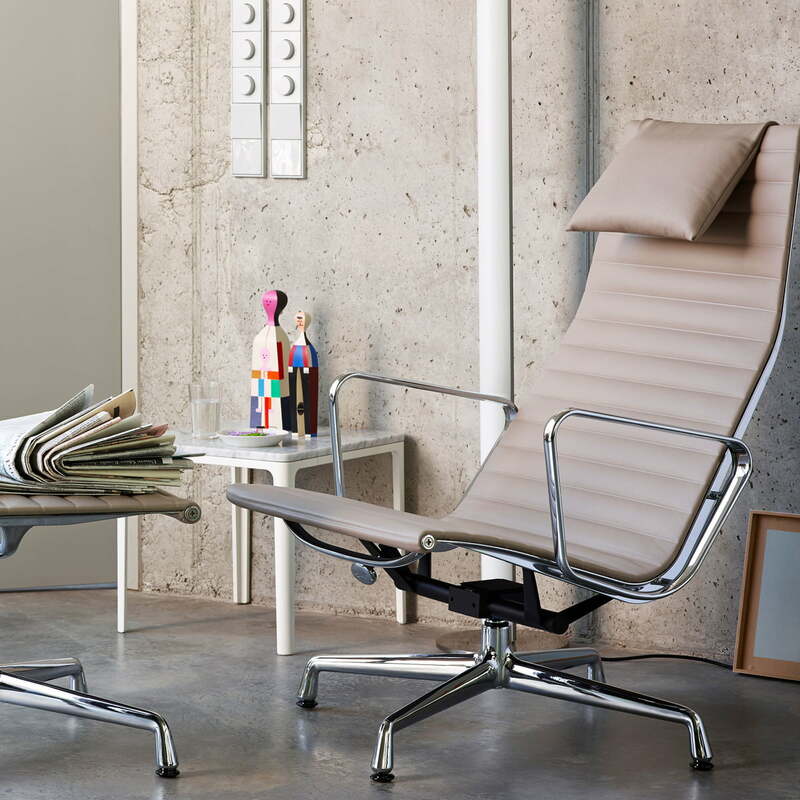 Lifestyle product image of the Vitra - Plate Table next the EA armchair: The objects from Vitra can be perfectly combined, creating a stylish ambience.